Pets make a real difference in our lives. They offer companionship, unconditional love, and endless hours of fun. However, they also offer shedding, drooling, accidents, and many other messes. When these happen on your carpets or soft furnishings it can be difficult to know the best way to remove them. One of the best answers is to invest in a carpet cleaner that is designed to deal with the various messes made by pets, including urine staining. But with so many different options available on the market it can be difficult to know which is best for your home. Our panel of pet experts has used their combined experience of cleaning up after pets to compile a list of the 10 best carpet cleaners for pets. The lightweight Hoover Power Scrub Deluxe Carpet Washer FH50150 is the perfect carpet cleaning answer for households with pets. The machine weighs less than 19 pounds and includes an eight-foot ready-to-use hose that is certainly long enough to reach up most staircases and into other hard to reach areas. The carpet cleaner also features a DualV Nozzle that ensures equal suction; cleaning surfaces evenly and quickly. Forced heated air ensures a fast-drying time, reducing the risk of fresh paw prints on your clean carpets. The machine is easy to fill and can be emptied and cleaned without any mess or fuss. The recovery tank even includes a quick pour spout. No edge cleaning brushes on the cleaning head. Need to use crevice attachment for carpet edges. The Bissell Big Green Professional Carpet Cleaner Machine cuts cleaning time by cleaning on both its forward and backward pass. Its heavy-duty suction power helps your surfaces dry faster, while the power brush provides a deep scrubbing action to get deeper into your carpets for a fuller clean. The two large tanks keep clean and dirty water separate and mean less time is spent refilling the machine, further cutting cleaning time. At nine feet long, the hose gives you additional reach on stairs and upholstery and the large tough stain tool helps you better target difficult areas. If you are looking for a carpet cleaner that is specifically designed for spot cleaning, then the Bissell SpotClean Pet Pro Portable Carpet Cleaner might be just what you are looking for. The lightweight machine is ideal for rugs, upholstery, stairs, and tough spots on larger carpeted areas. 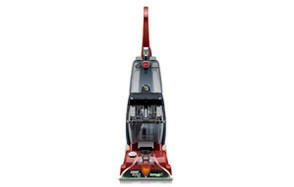 The machine includes strong suction for removing stains and odors, including those that are deep down in the carpet. The five-foot flexible hose and brush tool means it is ideal for use on pet beds, furniture, and hard to reach areas. The Rug Doctor Deep Carpet Cleaner includes dual cross action brushes that hit the fibers in your carpet from different angles to lift more dirt and stains. The cleaner also includes rotating rows of brushes that groom and polish as it cleans. The quick-drying machine leaves visible results after just one pass and leaves surfaces dry within four hours. It comes complete with an upholstery tool and super boost spray to deal with high traffic areas and tough stains. The carpet cleaner is designed to be easy to maneuver and its tanks have wide mouth designs to make them easy to fill and empty. The Hoover Spotless Deluxe Carpet Cleaner is the ideal machine for dealing with stubborn stains and small areas that need to be deep cleaned. The machine is lightweight and portable and is ideal for use on stairs and upholstery. Its self-cleaning hose allows you to flush the hose after use to remove dirt, dust, and other debris. This reduces bacteria build-up and ensures a perfect clean every time. The hose tool includes antibacterial protection to help prevent mold, mildew, and bacteria build-up. The machine includes a crevice and stair tool to ensure you can get into even the hardest to reach places. 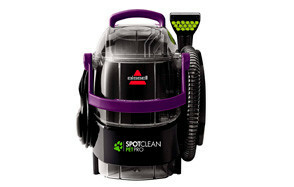 If you are looking for a unique way to clean pet stains, then the SpotBot Pet Handsfree Spot and Stain Cleaner by Bissell might be just what you are looking for. Simply take the cleaner to where it is needed, set the cleaning cycle, and walk away. The machine’s deep reach technology will clean from the bottom of your carpet, ensuring that even the toughest stains are removed. It is suitable for use on most carpets and upholstery and even has an auto stairs function. The SpotBot’s unique spiral brushing action provides thorough and effective stain removal and cleaning at over 400 cleaning revolutions. The Hoover Power Scrub Elite Pet Carpet Cleaner FH50251 includes a deep clean mode that removes embedded stains and dirt. The machine has a 12-inch cleaning path for effective and quick cleaning throughout your home. When you are in a hurry the quick clean mode and HeatForce action gets your carpets dry within 45 minutes, which is quicker than most other comparable models. The carpet cleaner also features a rinse mode, allowing you to wash your carpets with soap and water and then thoroughly rinse them with just water to ensure all the soap residue is removed. As well as tackling the toughest pet messes the antimicrobial SpinScrub Brush system helps prevent bacteria and odors from forming or returning after cleaning. The Bissell Little Green ProHeat Portable Carpet and Upholstery Cleaner has a built-in hot water heater that provides better cleaning results that cold water cleaners. The compact cleaner provides thorough deep cleaning and include a spray and suction action to help dry carpets at it goes. The dual tank system separates clean and dirty water for better results, while the 48-ounce tank capacity means less refilling while cleaning. The portable, lightweight cleaner includes a four-foot hose that enables you to reach and clean upholstery and stairs with ease. It can also be used just as easily to clean your vehicle; ideal if you have been transporting pets to veterinary appointments. The Rug Doctor Mighty Pro X3 comes complete with an upholstery/stair tool and requires only a single pass to make a visible difference to your carpets. The multi-directional brushes spray, scrub, and extract even the toughest pet stains. When used with the Rug Doctor Pet Formula it simultaneously neutralizes bad odors while leaving carpets clean and stain free. The machine is versatile and easy to use. It makes cleaning stairs, furniture, and mattresses much easier and more efficient. If you are looking for a cordless carpet cleaner option, then the Bissell Pet Stain Eraser might be just what you are looking for. The cordless cleaner is ideal for dealing with pet stains in the home or in your vehicle. It has a three-inch cleaning path, meaning it can get into most hard to reach places with ease. The lithium powered cleaner uses a ready-made formula that can be stored in the machine and does not need mixing with water. It means you can attack stains quicker and reduce the risk of lingering odors. 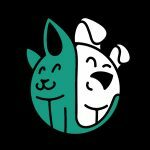 Cleaning up after your pets is a necessary but tedious job. While it is worse while they are young and learning the ropes, it is a chore that lasts a lifetime. Everything from little accidents to food spills, and from muddy paws to your cat’s latest present affects the cleanliness of your carpet. As well as making your carpets and soft furnishing look dirty and worn, these messes bring with them bacteria and odors, making your home unpleasant and even unhealthy if they are left. Surface cleaning with a cloth and spray can only do so much. To get to the root of the problem, you need a high-quality carpet cleaner. In this section of the buying guide, we look at the features you need to consider when buying a carpet cleaner for pets, the benefits of cleaning your carpet, and the different types of carpet cleaner that are available. We also answer some of the most frequently asked questions about carpet cleaners for pets. Dual tanks separate the clean and dirty water in your machine. This makes cleaning easier and makes it much less likely that you will end up spreading stains and bacteria across your home. Larger tanks mean less refilling time is required while you are cleaning. However, they can also add to the weight of the machine, particularly once they are full of water. The best carpet cleaners for pets have brushes that move or rotate. This aggravates the fibers in your carpet meaning you get a deeper clean. Avoid machines that have no brush heads at all as these are only likely to get to the surface dirt. Suction only machines are only really suitable for small fresh spills and messes that have not yet penetrated deep into the carpet. The length of hose you need is going to depend on your home and your ability to get to hard to reach places. Longer hoses are ideal for stairs, reducing the need for you to carry or balance the machine on the stairs as you clean. This is particularly important with full-size upright machines. Continually needing to unplug and move your cord to a new outlet is frustrating and adds to cleaning time. Longer cords reduce this and make it easier to get on with the job at hand. The width of the head on your carpet cleaner will determine how long it takes to clean a room. Narrower heads take longer to complete a large space but are easier to maneuver into small areas and around furniture. Wet carpets attract dirt, particularly if your pet walks on them. Quick drying times are a must for the best carpet cleaners for pets. A clogged machine is unlikely to clean very well. It is crucial that you are able to easily remove pet hair and other debris from the hose and cleaning head. This also reduces odors that could be transferred to your carpets and reduces mold, mildew, and bacteria build-up. Sturdy attachments that can be used to scrub at stains and messes are a must. Crevice tools allow you to get right into the edges of your carpets and reach the corners of furniture. We all know that regular vacuuming is essential to reducing allergens, keeping your floors clear of dirt and debris, and reducing the risk of your pets eating things they shouldn’t. However, vacuuming alone is not enough. Regardless of how often you vacuum, ground in dirt, spills, and other wet accidents seep into the pile of your carpet and cause stains and odors. Cleaning your carpet is the best way to deal with these issues. Carpet cleaners can get right down to the base of your carpet, lift out dirt, remove stains, and generally leave your carpets looking and smelling better. Cleaning your carpet is also the only way to reduce bacteria build-up and ensure that your carpets are not making you or your pets ill. This is even more important if you have pets and young children who tend to share the same floor space. Cleaning your carpet can also help reduce allergens such as dust mites and pollen that can collect in the fibers. This can reduce shedding in cats and dogs as they are less likely to spend time scratching and spreading hair across your home. If you use specialist cleaners with your carpet cleaner, you can also reduce future staining and prevent odors from sticking to the fibers, making future cleaning much easier. All carpet cleaners do the same basic job, cleaning and removing stains from carpets and upholstery. However, there are a couple of different types that you need to be aware of in order to purchase one that works for you. These look very similar to traditional upright vacuum cleaners. They generally include a hose and attachments for hard to reach areas, upholstery, and to make stairs easier. They are maneuvered in much the same way as an upright vacuum and are designed to deep clean whole rooms. These are very similar to upright carpet cleaners but, as their name suggests, are heavy-duty. They are ideal for heavily soiled carpets and ingrained stains. They are, however, usually much heavier and more difficult to maneuver. These carpet cleaners are similar to pull along vacuums. They rely solely on a hose and attachments for cleaning. They can give the same deep-down cleaning as an upright but are not generally designed to deal with large areas. 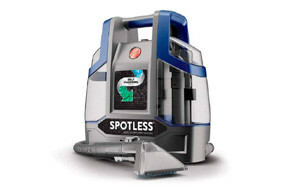 These are much smaller, suction-only machines that are specifically designed to deal with small stains as they happen. While they can have strong cleaning and suction power, they lack many of the other features that larger machines have. Q: Is carpet cleaning safe for pets? A: Carpet cleaning is safe for pets. However, you should ensure that you use pet safe cleaning fluids and check that no residue is left in your carpet after cleaning. It is also safest to restrict access to the room until the carpet and furnishings are completely dry. Q: How long do you have to stay off the carpet after cleaning? A: Staying off the carpet until it is completely dry reduces the risk of embedding new dirt and stains into your freshly washed carpets. It is also much safer for pets to remain out of the room until the carpet is dry. The amount of time this takes depends on the carpet cleaner you use. Some can dry in as little as 45 minutes, while others take in the region of 4 hours to be completely dry. Q: Why do stains in my carpet come back? A: There are several reasons why stains may reappear after your carpet is cleaned. One of the main reasons is that the original stain was not completely eliminated during cleaning. As the carpet dries the remaining dirt becomes more visible. If any residue from your carpet cleaner is left on the carpet after cleaning, this can also encourage stains to return. The residue becomes sticky and attracts new dirt and grime, making it look like the original stain has returned. A: It is important to clean up spills and other messes as soon as they occur to stop them from staining and smelling. In addition to this, it is recommended that you vacuum twice a week to reduce the amount of ingrained dirt getting into your carpet. Carpets should then be cleaned at least once a year. However, heavy traffic areas and your pet’s favorite rooms will need to be done more regularly, even every three to six months. Our top pick is the lightweight Hoover Power Scrub Deluxe Carpet Washer FH50150. It is the perfect carpet cleaning answer for households with pets. The machine weighs less than 19 pounds and includes an eight-foot ready-to-use hose that is certainly long enough to reach up most staircases and other hard to reach areas. The carpet cleaner also features a DualV Nozzle that ensures equal suction, cleaning surfaces evenly and quickly. Forced heated air ensures a fast drying time, reducing the risk of fresh paw prints on your clean carpets. The machine is easy to fill and can be emptied and cleaned without any mess or fuss. The recovery tank even includes a quick pour spout.